I have been known to like a few sweet things in my time. Mom, if you're reading this you might want to skip ahead to the next post. I know, I know—Sugar is nice on the tongue but goes straight to the hips. Puts pimples on my face. Lowers my immune system. Has no value. Does no good. We don't like to talk about it. But I'll be honest with you. I like it. There comes a point with everything when enough is enough. Need I remind you of my discovery of the Burnt Sugar Almonds a few months ago. All things considered, the chai isn't quite right unless we sweeten her up a bit. Just the right amount of sugar and the right type helps to bring all the flavors together nicely. I use pure cane turbinado sugar. 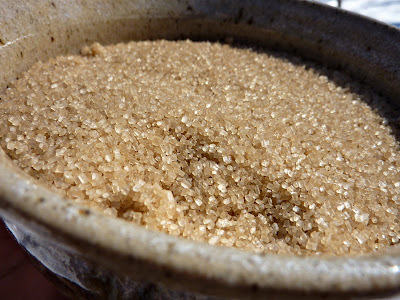 This type of sugar is not heavily refined—nor is it stripped of the natural presence of molasses—like refined white sugar is. The resulting flavor is rich and full of depth. I was just listening to an old Dead tape in my kitchen while writing this post. Funny that this super happy song came on just as I was wrapping up. 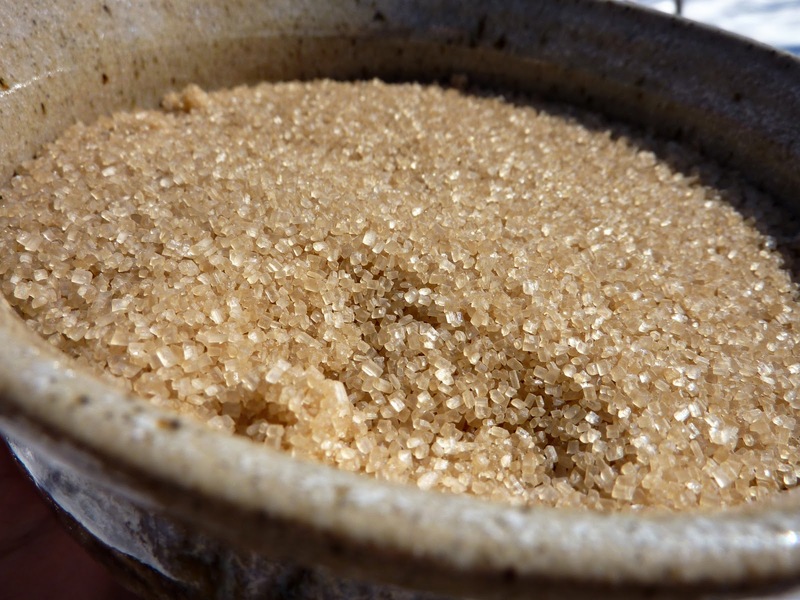 There is nothing that tastes like real organic unrefined sugar. At only 16 calories a teaspoon, it is well worth it! I haven't able to post, lets see if this works. I have been leaving out the sugar and adding honey to my daily cup. I know honey is pretty uncharacteristic of me, what can I say. Sounds good ladies. I'll be double checking my sugar to see if it's organic. And Molly, I just added some honey to my cup this morning and it was delightful. I would love to try some of your honey in my cup sometime soon.